We have rescheduled the February Club Meeting for Wednesday, February 27th at 6:30 pm. We will meet at the Laramie Plains Civic Center, in the Conference Room. The address is: 710 East Garfield Street, Suite 110, Laramie, WY 82070. We hope you can make it! We will have our first highway cleanup of the summer on Sunday, June 3rd. We will meet at 8:00am at the West Laramie McDonald’s parking lot. We will drive up from there to the Green Rock parking lot and clean up our 2 mile section of the highway. Safety vests and garbage bags will be provided. The more people we have, the quicker the cleanup will go! If you have any questions, please let us know! We hope to see you all there! May Meeting: Our May meeting will be next Thursday, May 17th at the Fire Station #3 in West Laramie, 2374 W Jefferson St starting at 6:30pm. At this meeting we our main focus is to see what interest there would be in starting a UTV/ATV/Motorcycle group. With more and more roads and areas being closed to motorized users, we want to create a organized group to help fight this. The main goal will be access, not dues or pot lucks! Everyone is welcome! Officer Elections: We are still looking for someone to take over the Secretary/Treasurer position. We will have elections at our September meeting. If you or anyone you know is interested in helping out, please let us know. 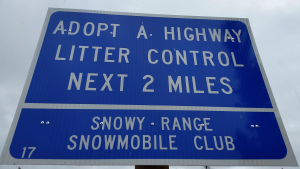 Highway Clean Up: With WYDOT working to get HWY 130 over the Snowy Range open, we need to get up to Green Rock parking lot for a highway clean up on our adopted highway section. We are looking at Saturday June 2nd or Sunday June 3rd for our first clean up day. We will send out the exact date and time when it gets closer. Hut Maintenance: This summer we plan to replace the floors in both safety shelters and do a lot of other much needed maintenance on them. We are hoping to be able to haul the shelters to town to do this, but we are waiting on the ok to do so. Once we know where we will be working on them, we will set a date and let everyone know. Youth Camping: Our Youth Club will be hosting a “Leave No Trace” camping and clean up trip in the Snowy Range August 4th and 5th. Any youth or adults are welcome to attend. For more information, please contact Cameron Olsen at 307-399-9994. Wood Cutting: We want to get all of the wood cut for the shelters before the snow starts to fly this year. The weekend of September 15th and 16th we plan on cutting wood for both shelters. We hope to turn this into a overnight camping and 4-wheeler trip also. As always, if you have any questions or would like to sign up for any of the summer events, just shoot us a email. We hope to have a great turn out at the meeting next Thursday. Invite your friends and family. Summer motorized users need to have a voice! Thursday April 19th will be our final meeting for the season. Dinner will start at 6:00 pm at Fire Station #3 in West Laramie. The meeting will start at 6:30 pm. We will have elections and look at dates for highway clean ups and summer activities. We are looking for someone to take over the Secretary/Treasurer position. If you are interested or have questions, please let us know! This Months meeting will be this Thursday (4/20) @ 7:00 PM as normal we will be at the Holiday Inn. We will discuss plans for next season and summer planning. 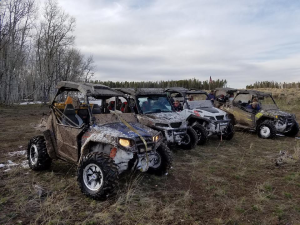 Possible ATV club start up, sponsorship for Beacon Check Stations for next year and WSSA Fun Days update. All are welcome to attend we will have a drawing for gift certificates from our sponsors. Two will be given to those in attendance and two will be drawn for all members. Wanted to remind you that the Clubs avalanche course is this upcoming Friday March 10th. The on the snow part is full but everyone is welcome to attend the Classroom Training Friday Evening at 6:00 PM at the Holiday Inn Laramie. The classroom portion always serves as a good refresher. Saturday March 11th at 6:00 PM the Club will host a Chili Dog Dinner. You can skip the dog and just do the chili. This event will be held at 1379 N. Cedar St. #109 (The same place we did the season kick off) You can eat, brag, share your sledding stories, and we will show a sled video. If you plan to attend please bring a lawn chair. Hope to see you there! Sunday March 12th we will be doing a club ride. All are welcome and we will break into groups based on what everyone wants to do that morning in the parking lot. Look for the Snowy Range Snowmobile Club Banner. If interested in doing this please reply to all on this email please. We will meet at Green Rock parking area around 9 plan to leave on ride by 9:45. 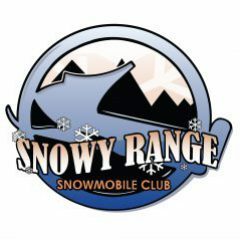 Welcome to the Snowy Range Snowmobile Club! We are in the process of updating our site for a better experience. Author SnowAdminPosted on December 1, 2016 December 1, 2016 Categories UncategorizedLeave a comment on Let it Snow!